There are so many gulf views to take in at “Paradise Cottage Too,” you won’t believe. From the home’s expansive decks, through its many windows, even at its stunning poolside, each guest will imbibe a much needed and healthy dosage of Vitamin Sea*. Newly restored, this quiet gulf front cottage sits in an amazingly private location in the heart of Seagrove. With 4 bedrooms, a loft equipped with twin beds, and a lower level bunkroom, the home spans 3 floors. As you walk through, you will not believe how many windows offer vistas of the water! The private beach walk and sitting gazebo offer places to sip coffee, wine, or just to have that long awaited conversation with someone close. For those seeking the simplicity—and the heart—of Old Florida, this home offers so much. Yet it does NOT sacrifice in the department of modern conveniences. The home’s tasteful restoration includes chic and playful décor, architectural appeal, and whimsical spaces. Outdoor decks and living seem to link together and never end, but eventually do lead to everyone’s favorite spot: the powder white sand. The cottage pool is one to remember—a paradise all its own—with gulf vistas and beautiful groves of greenery surrounding. 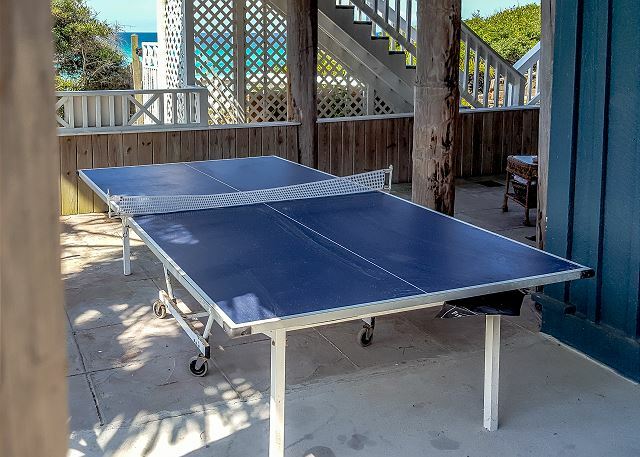 You will experience your own private slice of Florida just steps away from the beach, and all the while, Seagrove and Seaside restaurants, galleries and shops are practically at your fingertips. We had an amazing vacation in the Paradise Cottage Too! Benchmark Management is a huge reason why our week was so great. We were scheduled to arrive the day Hurricane Michael hit. We delayed our trip by a day and Kristina and team made sure we got in the house and setup all while dealing with the hurricane aftermath. They worked with all the families coming in during a very tough week for them personally and were still very attentive and professional. The house itself was perfect for our group of 19. We had plenty of room inside and having meals on the back porch while enjoying the ocean views was nothing short of perfect! The private beach walkway and gazebo was great for getting the kids and beach toys back and forth. The pool was great for the evenings too. This is our favorite spot along 30A making it easy to visit the surrounding restaurants and shops. We are already looking forward to staying here when we come back and we will definitely use Benchmark again! Thank you for submitting your review - we can't tell you how much we appreciate your kind words! It was a very trying time indeed and we thank you for being so patient! We also couldn't agree more - this property has the most amazing views! You can enjoy all of your family meals out on the balcony if desired! There are also a few lounging chairs and a couple of rocking chairs to enjoy your morning coffee while watching the dolphins play nearby! Lots of space in this one so bring all the kids! Great place to share with those long time family friends or bring your family and have a 30A family reunion! Call Benchmark today and let us know how we can help arrange the perfect beach getaway for you! We had a great time at Paradise Cottage Too. Understand it is the first summer it is being rented and we were very pleased with our stay. The house itself is older but it has been updated, so we found it was very practical and had most everything we needed. The location is awesome and being able to walk out the back door onto the beach was incredible! The views from the deck are spectacular and there was always a nice breeze blowing off the water. Also, the covered sitting area between the house and beach was one of our favorite spots at sunset where the views were incredible!! Also, the house is a 1 mile walk into Seaside if the desire hits and about a 5 minute car ride to Publix. Last, working with Benchmark Management - they were excellent!! From the first call to find out information about the house through our entire stay they are very professional, knowledgeable, responsive, etc. One of the best management companies we have worked with over the past 20 years of vacationing in this area! Thank you to the entire BM Management team! Thank you so very much for taking the time to submit your review! We truly appreciate the kinds words and we do hope you will come back to join us again soon! There really isn't any more to say than what our guest has said - location, location, location - that is what makes Paradise Cottage Too so awesome! It is close to so many of the area's favorite restaurants but most importantly - just walk out the back door - the view is totally breathtaking! You may never want to leave - and that works too. Just a few minutes away you can have fresh seafood to throw on the grill and enjoy by your own private pool! It's all here so make your reservation today - this one will fill us fast so don't miss out!